World’s first daily naturally-based system for menopause symptoms. 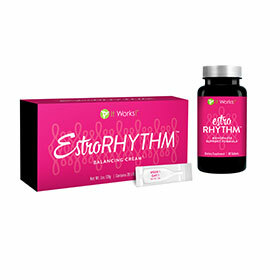 Estro-Rhythm will quickly help put your body back in balance. A safe, effective, natural substitute to a pharmaceutical menopausal treatment. Bioidentical formula made with all natural ingredients: e.g. wild yams, black cohosh.